What Leads to the Development of Smile Lines? Although laughter is “the best medicine” and it can boost your happiness and mood, it can also lead to the development of more smile lines. Not to discount the merits of leading a life enriched with good, old-fashioned joy and hearty mirth, but the occurrence of wrinkly folds around your mouth can turn your smile upside down. Should you stop laughing? Absolutely not. Read on to learn more about home remedies that may help improve your smile lines! Smile lines, or nasolabial folds, manifest due to the gradual loss of the skin’s tautness as the years roll by. 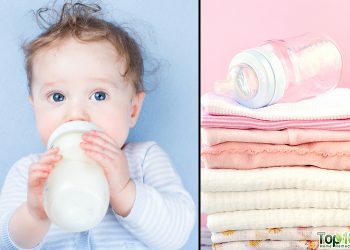 The collagen and hyaluronic acid responsible for keeping your skin elastic and youthful get depleted with time, while repeated facial expressions such as smiling, laughing, and frowning augment the damage by making the fine lines and wrinkles around the sides of your mouth more pronounced. The overuse of the facial muscles leads to the formation of a microscopic fold deep inside the dermis, which is only reinforced and made more conspicuous on account of such repeated facial movements. As previously mentioned, the lack of collagen only adds to the damage as it keeps the skin from bouncing back to its original suppleness. Another contributing factor to the development of smile lines is the descending shift in the cheek’s fat pads, another natural ramification of advancing age. Loss of the skin’s elasticity – This is due to the gradual breakdown of the proteins collagen and elastin, which are responsible for supporting the skin and keeping it from sagging. Smoking – Harmful chemicals present in cigarette smoke adhere to the skin around the mouth, causing severe skin damage that leads to wrinkles and smile lines. 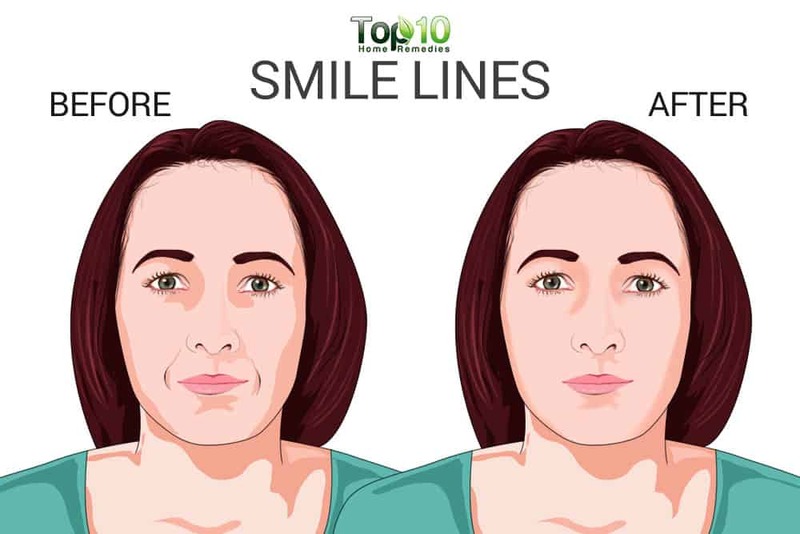 Repeated facial expressions – Smiling, frowning, puckering the lips, drinking through a straw, and raising the eyebrows tend to consolidate the formation of dermal folds and make the wrinkles and fine lines more and more noticeable. Insufficient sleep – The amount of sleep is inversely proportional to the release of cortisol in the body. Insufficient sleep means more production of cortisol, which wreaks havoc on your skin health by weakening and breaking cellular bonds as well as preventing the production of collagen and elastin. Stress – Stress is another factor that triggers an increased secretion of cortisol hormone in the body, which, along with other skin-damaging effects, is also associated with a spike in free radical activity. Prolonged sun (UV) damage – This is often at the root of collagen breakdown that causes the skin to sag inwards. Heredity – If you have a family history of smile lines or wrinkles, then there is a fair chance that you will also develop them in the future. Avoid sleeping on your side, as the twisting and turning as well as prolonged pressure and friction between your cheeks and the pillow cover and bed sheet can result in the development of laugh lines or wrinkles. Instead, make a habit of sleeping on your back. Keep your skin hydrated and moisturized. A well-moisturized skin is less prone to wrinkles and even diminishes the appearance of fine lines. Use moisturizers that contain hyaluronic acid as it has collagen-building properties that work to prevent premature aging and wrinkles. Moreover, a nighttime moisturizer replete with natural ingredients such as collagen, vitamin E, nut oils, and antioxidants works best as it stays on for 8 hours and heals your skin as you sleep. Exercise on a regular basis to promote blood flow to your skin. This helps produce natural oils and moisture and increases the rate of new cell growth. Eat plenty of foods rich in antioxidants to help boost collagen and elastin production in your skin and eliminate fine lines and wrinkles. Aim to maintain a healthy body weight and avoid weight fluctuations. Adopt a skin care regimen that includes antioxidants, sun protection factor (SPF), peptides, and retinol. Include a diet rich in vitamins and minerals. 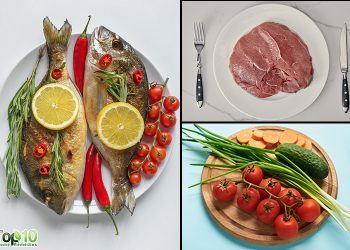 Also, include foods rich in omega-3 fatty acids to help eliminate laugh lines by reducing inflammation and naturally boosting the health of your skin. Avoid harsh or excessive chemicals on your skin, which rid your skin of its moisture and natural oils. Banishing laugh lines once they have already developed can be a never-ending struggle, with natural and noninvasive measures registering little to no success in this regard. The only saving grace is perhaps that these lines pose no real risk to your health. The only way to undo the damage, once these creases have already formed, is to opt for somewhat invasive cosmetic procedures, such as dermal fillers, neurotoxin (or botox) injections, microneedling peels, and laser resurfacing. Sometimes surgery is needed. Most people squirm at the thought of going under the knife or putting their skin through unnecessary nip and tuck surgeries to smoothen out their irrevocable smile lines. Moreover, such drastic procedures might promise you permanent and radical results, but they also come with their fair share of risks such as nerve damage, infection, scarring, and pain. Thus, it’s best to delay or prevent these lines from occurring in the first place than having to go through such an ordeal later. Botox: Botox is injectable fillers containing a neurotoxin that goes by the name of botulinum toxin. These injections are cosmetically used to insert the said toxin into the problem area to temporarily weaken or paralyze the underlying muscles. This, in turn, makes the area more relaxed and makes the lines and wrinkles less apparent. Dermal fillers: These are implants that are placed just under the skin to soften facial creases and restore the suppleness of the skin. Thus, by enhancing the fullness in the face, these fillers help reduce the appearance of wrinkles. Surgical removal: Your nasolabial folds can be made significantly less conspicuous by opting for a minor surgical process called subcision, which is often done in conjunction with fillers. Skin resurfacing treatment: This treatment helps remove the damaged layers of the skin with precision, to regenerate new skin cells that leave you with a more taut and youthful skin surface. While smile lines do not cause any problem, having your face marred with creases that make you look worn-out and unhappy, besides adding years to your actual age, is no laughing matter. Although it’s hard to remedy the damage once it’s already been done, the key is to proactively adopt a healthy lifestyle, a skin care routine, and dietary habits that will prevent the occurrence of these physical manifestations of skin aging in the first place. 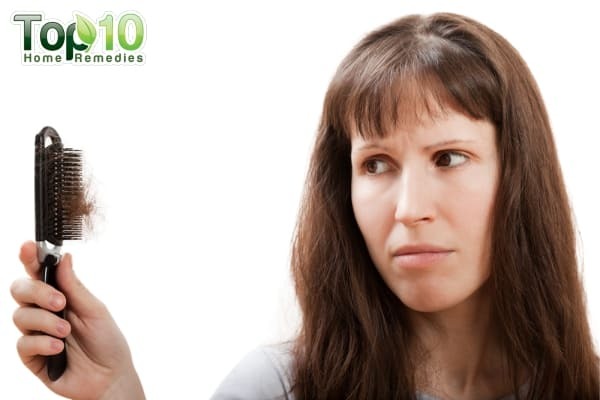 Here are some natural home remedies that can help in this regard. 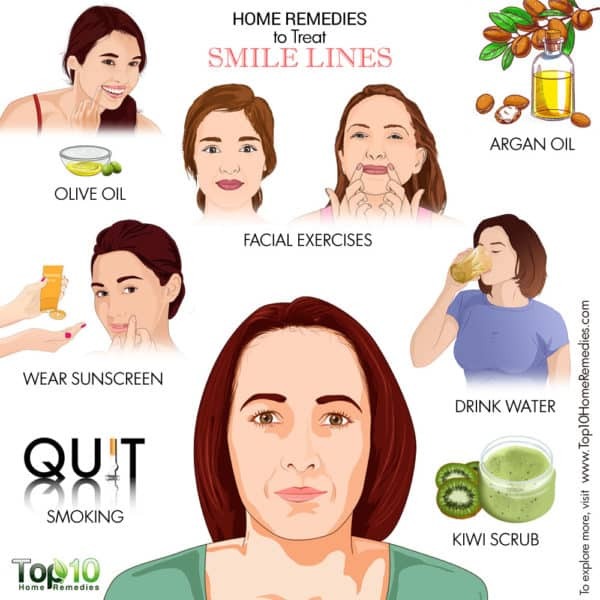 Olive oil is incredibly beneficial to help deal with smile lines. The antiaging properties of olive oil come from the polyphenols and oleic acid in it. Also, the monounsaturated fats in the oil help prevent the appearance of new smile lines while also contributing to smoothing out existing lines. Plus, olive oil is beneficial for keeping the skin moisturized and regenerating skin cells. In a study published in PLoS One in 2012, researchers found that intake of dietary monounsaturated fatty acids in olive oil leads to a healthier-looking skin. 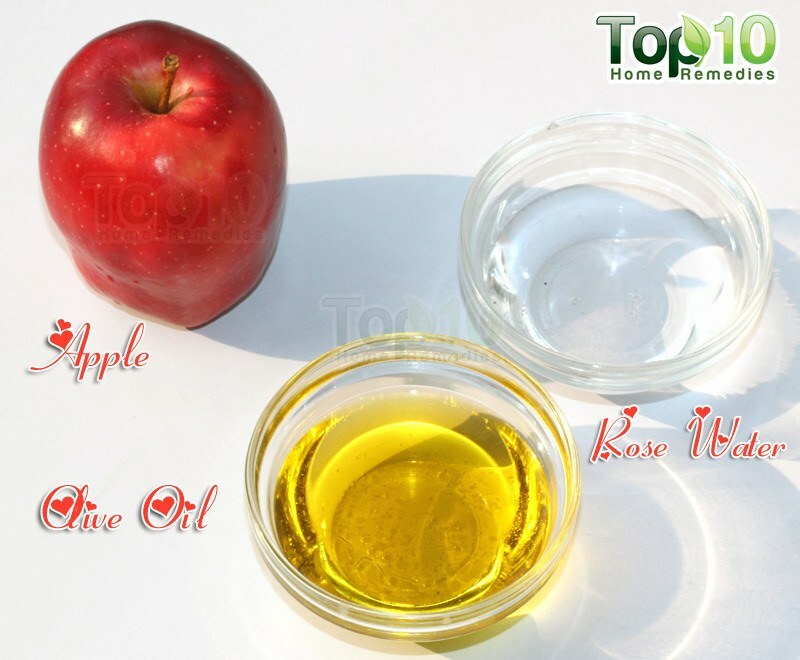 Rub some olive oil on your face and massage gently to help the oil penetrate deep into the skin. Do this twice daily. Alternatively, mix equal amounts of olive oil and honey. Rub this homemade paste on your smile lines using light, circular motions for a few minutes. Wash your face, and then apply a light moisturizer. Repeat this regimen one or two times a day. Argan oil contains up to 80 percent fatty acids that help fight free-radical damage. This, in turn, helps prevent wrinkles and smile lines on the face. The vitamins A and E in this oil also help reduce wrinkles, as well as age spots and sagging skin. It also keeps the skin moisturized and improves its elasticity to keep it firm and youthful. This claim is supported by a 2015 study published in Clinical Interventions in Aging, which reports that daily intake and/or topical application of argan oil has an antiaging effect on the skin and helps improve skin elasticity. After removing your makeup and washing your face thoroughly, apply a few drops of argan oil on your skin and massage gently using circular motions. Do this daily before going to bed. Also, include 1 tablespoon of culinary argan oil in your daily diet. Exfoliating your skin once a week with some homemade kiwi scrub can help make your smile lines less noticeable. Exfoliating helps remove dead skin cells to reveal the healthier, younger skin that lies beneath the surface, thereby diminishing the appearance of fine lines caused by laughing and smiling. Kiwi works as an effective natural exfoliant and also contains antioxidants, especially vitamin C and polyphenols, which help nourish your skin. Put 1 tablespoon each of mashed kiwi, sugar, and olive oil in a bowl. Apply this mixture on your face and gently exfoliate the skin using circular motions. Pat your skin dry and apply a moisturizing lotion. Facial exercises can also help reduce laugh lines around the mouth. There are several exercises that target the facial muscles to tighten the skin. This, in turn, reduces the appearance of any wrinkles. You can also give yourself a nice face or eye massage every now and then to stimulate blood circulation in the face and keep your skin looking younger. Also, exercise prompts your body to produce endorphins, which can positively aid your skin’s health. Now smile, as fully as possible. Do this 10 to 20 times, once daily. Keep your lips partially separated. Now, use your fingers to pull the corners of your mouth back toward the face as far as possible. Do this 10 to 25 times, once daily. A premium-quality sunscreen lotion works as the most effective safeguard against facial aging induced by regular and prolonged sun damage. Too much exposure to the sun’s harmful ultraviolet (UV) rays can damage your skin, particularly its elastin, and cause a loss of collagen. This can lead to the formation of smile lines as well as sun spots, uneven skin tone, dryness, rough skin, and sunburn. Apply sunscreen on your face on a daily basis. Aim for a sunscreen with an SPF of 30–50 or higher for daily use, and an SPF of 50 or higher for intense or extended outdoor activities, such as a day at the beach or picnics. Also, try to spend more time in the shade, and wear sun-protective headgear such as a hat to protect your skin. Dehydrated skin is more prone to smile lines, so you need to try your best to keep your fluid intake at the optimum level. Adequate water intake helps keep your skin hydrated and moisturized, making it look younger and healthier. On the other hand, when you don’t drink enough water, your skin can become dry, dull, and dehydrated, leading to issues such as fine lines and wrinkles. To stay hydrated, drink about 8 to 10 glasses of water a day. Aside from water, you can also drink green tea and fruit and vegetable juices, or you can also eat fruits and vegetables with high water content. There are more reasons than one to quit smoking, as it serves no other purpose but to destroy your overall health. 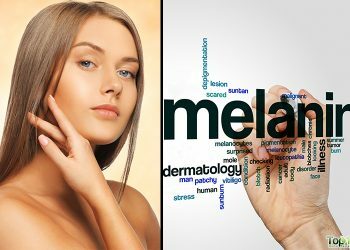 No wonder then that this ghastly habit can also end up ravaging your skin. The accumulation of harmful toxins released with cigarette smoke can destroy the collagen and elastin in your skin and worsen existing laugh lines. A 2002 study published in the International Journal of Dermatology found that cigarette smoking is associated with premature facial wrinkling. Hence, facial wrinkling in young people who smoke should be paid attention to and should be added to the list of disorders seemingly caused by smoking. Another study published in Plastic and Reconstructive Surgery in 2013 reports that smoking reduces collagen formation, results in collagen degradation, and reduces the skin’s blood circulation. This is compounded by the fact that the inherent nicotine in cigarettes reduces the thickness of the skin. All of these damaging effects hamper the skin’s elasticity and manifest themselves in the form of premature aging and wrinkle formation. The only positive takeaway from this is that the wrinkles, including smile lines, caused by smoking could very well be prevented by not smoking. So, if you smoke, try to quit as soon as possible to get rid of laugh lines and wrinkles. The body produces the hormone cortisol when you’re under stress. In addition to breaking down cell bonds, cortisol accelerates the production of free radicals. Free-radical damage creates havoc on your skin by preventing your body from producing collagen and elastin. This accelerates the skin-aging process and leads to the formation of wrinkles on the face. To fight back against smile lines, take steps to reduce your stress level. You can take a warm bath, go for a walk, listen to music, spend time on your favorite hobby, or choose any other activity that can distract your mind from whatever it is that is getting you unnecessarily worked up and stressed out. The amount of sleep you get every night directly affects the smile lines that form around your mouth. Less sleep means your body produces cortisol, which can result in sagging skin and the subsequent appearance of fine lines. On the other hand, getting sound sleep helps the body produce growth hormones that strengthen the bonds between the cells in your skin. This results in tighter, smoother, and younger-looking skin. No matter what, try to get 7 to 8 hours of sleep each night. Along with adequate sleep, you need to be mindful of your sleeping position as well. Your sleep position also plays an important role when it comes to the development of smile lines. When you sleep on your side or your stomach, the delicate skin of your face endures constant friction that ultimately contributes to smile lines. Try to sleep on your back and use silk pillowcases. Improve your sleep hygiene, and your skin will thank you. Acupressure is based on a Chinese healing technique that uses pressure points to stimulate energy flow, boost circulation, and relax and tone your muscles. Stimulating the acupressure points also helps bring moisture and elasticity back to the skin, which in turn helps reduce the occurrence of fine lines. As acupressure treatment involves massaging specific acupressure points on your face, it is important to get it done by an expert. Alternatively, you can sign up for classes to learn the correct methodology and practice it on your own regularly. Wash your face once or twice a day and follow up with a moisturizer tailored to your skin type. Blurring creams or primer can help hide laugh lines. A good wrinkle-fighting serum can also help a lot in reducing and preventing the fine lines that are caused by repetitive facial movements such as smiling. Latreille J, Malvy D, Galan P. Dietary Monounsaturated Fatty Acids Intake and Risk of Skin Photoaging. PLoS One. https://www.ncbi.nlm.nih.gov/pmc/articles/PMC3435270/. Published September 6, 2012. Boucetta KQ, Charrouf Z, Aguenaou H, Derouiche A, Bensouda Y. The effect of dietary and/or cosmetic argan oil on postmenopausal skin elasticity. Clinical Interventions in Aging. https://www.ncbi.nlm.nih.gov/pubmed/25673976. Published January 30, 2015. Richardson DP, Ansell J, Drummond LN. The nutritional and health attributes of kiwifruit: a review. European Journal of Nutrition. https://link.springer.com/article/10.1007/s00394-018-1627-z. Published February 22, 2018. D’souza R, Kini A, Shetty N. Enhancing Facial Aesthetics with Muscle Retraining Exercises-A Review. Journal of Clinical and Diagnostic Research : JCDR. https://www.ncbi.nlm.nih.gov/pmc/articles/PMC4190816/. Published August 20, 2014. Paul M. Northwestern Now. Northwestern Now. https://news.northwestern.edu/stories/2018/january/facial-exercises-help-middle-aged-women-appear-more-youthful/. Published January 3, 2018. Kuritzky LA, Beecker J. Sunscreens. CMAJ : Canadian Medical Association Journal. https://www.ncbi.nlm.nih.gov/pmc/articles/PMC4577364/. Published September 22, 2015. Koh JS, Kang H, Choi SW, Kim HO. Cigarette smoking associated with premature facial wrinkling: image analysis of facial skin replicas. International journal of dermatology. https://www.ncbi.nlm.nih.gov/pubmed/11895509. Published January 2002. C OH, Brendan A, Bahman G. Facial Changes Caused by Smoking: A Comparison between Smoking and Nonsmoking Identical Twins. Plastic and Reconstructive Surgery. https://journals.lww.com/plasreconsurg/Abstract/2013/11000/Facial_Changes_Caused_by_Smoking___A_Comparison.10.aspx. Published November 2013. Chen Y, Lyga J. Brain-Skin Connection: Stress, Inflammation and Skin Aging. Inflammation & Allergy Drug Targets. https://www.ncbi.nlm.nih.gov/pmc/articles/PMC4082169/. Published June 2014. Anson G, Kane MAC, Lambros V. Sleep Wrinkles: Facial Aging and Facial Distortion During Sleep. Aesthetic Surgery Journal . https://academic.oup.com/asj/article/36/8/931/2613967. Published June 21, 2016. Yun, Y, Kim S, Kim M. Effect of Facial Cosmetic Acupuncture on Facial Elasticity: An Open-Label, Single-Arm Pilot Study. Evidence-based Complementary and Alternative Medicine. https://www.ncbi.nlm.nih.gov/pmc/articles/PMC3745857/. Published July 28, 2013. Nobile V, Buonocore D, Michelotti A. Anti-aging and filling efficacy of six types hyaluronic acid based dermo-cosmetic treatment: double blind, randomized clinical trial of efficacy and safety. Journal of Cosmetic Dermatology. https://www.ncbi.nlm.nih.gov/pmc/articles/PMC4371636/. Published November 17, 2014.
ery informative,natural rather sjmple treatment,Thank you very much.If top 10 home cure for bed wetting (adult and seniors)it would be beneficial to many! Good smiles are never out of fashion. Thanks for sharing these lovely tips about smile lines. Keep up the good work.